It’s been another busy week for me in rugby terms so this article is a collection of my thoughts and observations over the past nine days. I attended Dickie Jeeps’ funeral in his home village of Bottisham between Cambridge and Newmarket. Well over 100 people came to pay their respects including a dozen or so England players from the 60s and 70s, four of whom bore Dickie’s coffin into the church. This was no mean feat considering the age of the four, Budge Rogers, Derek Morgan, Malcom Philips and Bob Taylor, all former RFU Presidents, as was Dickie, and all who had played with him for England or Northampton. John Spencer and Piggy Powell both spoke about Dickie’s wicked sense of humour and the practical jokes he played, frequently involving a raw egg, and his astonishing prowess as a player. The Newmarket Journal printed a detailed obituary which is well worth a read; click here. 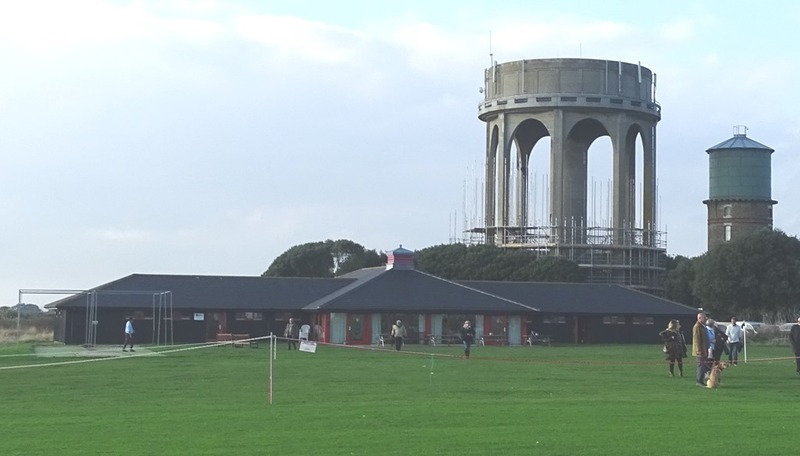 The next day was Saturday and I went to Southwold v Upminster. At the pre-match lunch (a very good steak & mushroom pie accompanied by several pints of excellent Adnams) I chatted about the payment of players proposal and the possibility of the beach rugby tournament being resurrected, before going out to watch the game. Those of you who have been to Southwold for a game will have memories of an icy wind coming in off the North Sea, fresh from the Russian Steppes, sometimes accompanied by horizontal rain. But to everyone’s delight and surprise the sun shone and the temperature was high enough to discard many of the layers supporters had brought with them. You can see pictures of the game with a short summary of the game by clicking here but Southwold were always likely to win with the experienced Des Brett in the front row. After a long and distinguished career playing for Blackheath, the 43 year old has returned to his roots and at this level there are few if any props that can match him. On Tuesday I left work early to get the Stone Lodge Academy in Ipswich. This was following a request from Seamus Farrelly, chairman of the Wooden Spoon Society in Eastern Counties, to officially open one of their projects at the school. Seamus works tirelessly as a volunteer raising money to help special needs schools in the area and I have attended events in Colchester and Clacton where Phil Vickery has opened a sensory room and Jason Leonard a trampoline designed for wheelchair users. 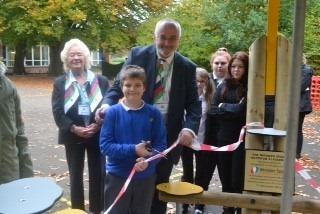 But this was the first time that I had been asked to do the honours and after a tour of the school we went outside to cut the ribbon to open an outdoor classroom; a new concept on me but a facility that I’m told will be well used. After the opening it was off to Stowmarket for a Club Development committee meeting where amongst items discussed were a Club Volunteer Coordinator Conference to be held in February and what sort of Running Rugby Workshops we should be offering to clubs. Wednesday saw me go straight from work to Corby for the launch of the East Midlands and Leicestershire Leadership Academy. 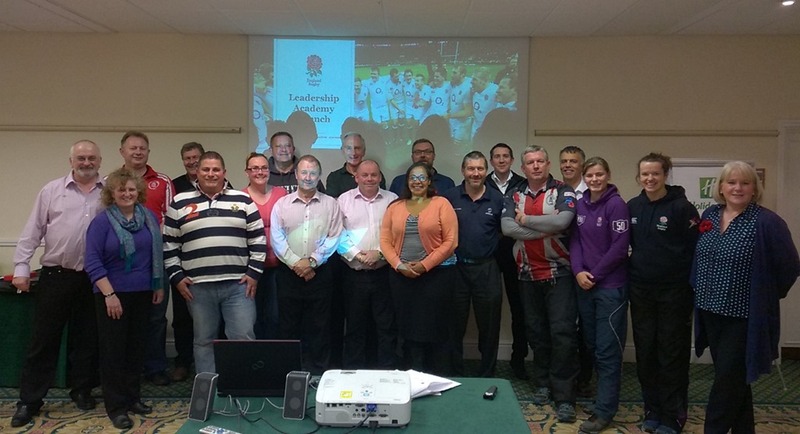 I was a candidate on the very first RFU Leadership Academy in 2005 and have been a mentor at Academies held in Eastern Counties, but this time I was delivering the content. My co-deliverer, Rachel Brown is very experienced and her confidence rubbed off on me so I was comfortable with the sections I led on. There were about a dozen candidates, including five women, who learnt about what the Academy is, what they can expect to do over the season and they were introduced to their mentors. I will be working with them over the year and it is interesting to see them grow as individuals. Eastern Counties will be hosting its next Leadership Academy in 2017/18 and we are already looking for likely candidates. We finished at 9:30pm and I headed south to Twickenham where I arrived about midnight thanks to the M25 being down to one lane. After some much needed sleep I sorted out a few bits of admin in the RFU office before the Club Development sub-committee meeting. We had a lot to cover and received a presentation about the Natural Grass Pitch strategy. There has been a lot of publicity about the 100 Artificial Grass Pitches that the RFU will be installing over the next four years, but with over 3000 natural grass rugby pitches in England this is where over 99% of the game is played. We also discussed volunteer recruitment, volunteer rewards with Mitsubishi keen to be involved, plans for the CB Volunteers bar, club incorporation, funding for the game and many more items, so it was no surprise that the meeting took four hours. The downside was that I left for home at the start of rush hour and with the vagaries of the North Circular and delays caused by an accident on the M25 it took me three hours to get home. 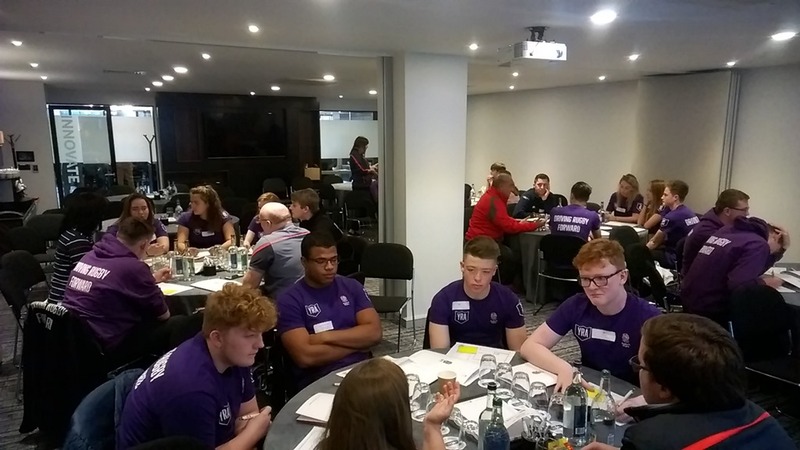 After work on Friday I once again headed away from home to Birmingham for the Young Rugby Ambassadors conference the following day. As part of the day the YRAs were to be put through an Apprentice style task and I was asked to play the Lord Sugar role. My next blog article will talk about the conference in more detail but the day was great fun with the YRAs learning a lot about working under pressure, delegating tasks and teamwork. I got home about 8pm, caught up with the local results and was delighted that the Irish had secured their first win over the All Blacks in Chicago. Thankfully not all weeks are quite as busy as this one otherwise I would struggle to get any paid work done! However, it was great fun and I regard it as a privilege to be allowed to get involved in the game at so many different levels and while I still enjoy it, I will continue to be a rugby volunteer.